Retro Synths, Synthesizer Sample from Puremagnetik. 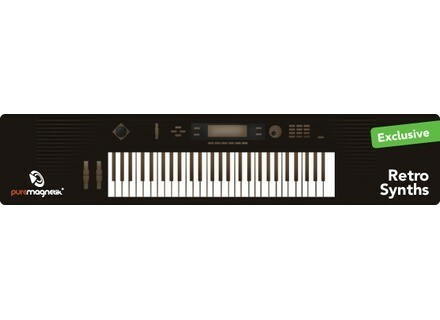 Starting now, Ableton gives all users of Ableton Live 8 or Suite 8 its partner instrument's Puremagnetik‘s Retro Synths. Retro Synths contains about 4000 samples of synthesizers from the past three decades, integrated into Ableton Live. The selection includes Minimoog basses, acid lines from the Roland TB-303, phase distortion sounds from the Casio CZ-series and more. Every preset is playable and can be customized using the Macro controls. The latest free update gives Retro Synths two new soundsets: “Modular Patterns” contains basses, resonant leads, as well as further sounds and phrases from a classic analogue modular system; “Opus” explores the string, brass and organ sounds of the Moog Opus 3.